O'Higgins is the fourth largest of all Patagonia's Glaciers and one of the most beautiful, thanks to the purity of its ice and the contrasting colors of another turquoise giant: O'Higgins Lake. This visit to the frontal wall, which descends from the Southern Patagonia Ice Fields, provides a full day of navigation through some of the most stunning scenery of Aysén. Activity Type: Navigation and glacier observation. Start: Bahía Bahamondes dock, 7 Km south of Villa O’Higgins. End: Bahía Bahamondes dock, 7 Km south of Villa O’Higgins. Special Considerations: If you’re prone to seasickness, bring medicine. High winds or storms can suspend programmed excursions; plan at least two days in your itinerary to allow for a good window of weather. Reservations: It is advisable to book well in advance to ensure your place in the boat. The Quetru is operated by Robinson Crusoe – Deep Patagonia; their lodge is located along the Carretera Austral, Km 1240; (02) 23341503 - 23341504; (067) 2431909; info@robinsoncrusoe.com; www.robinsoncrusoe.com. You can book Online. The southern reaches of the Aysén Region are the home for giants; enormous geographic landmarks of incredible mass and beauty. Let’s start with the bi-national lake through which you will sail on this adventure: O’Higgins of the Chilean side, San Martin of the Argentinian side. This lake is one of South America’s largest, with an area of 1,013 km², spread out like a giant octopus. It has a maximum recorded depth of 836 m, earning it the honor of being the deepest in all of the Americas and the fifth deepest in the world. The most striking feature for most of its visitors is its intense turquoise color, produced by the large amount of sediments that flow into the lake from the glaciers of the Southern Patagonia Ice Fields. You’ll set sail at 8:30 a.m., from Port Bahamondes, located 7 km south of Villa O’Higgins, on scheduled tour days. You’ll travel aboard the Quetru, a modern well-equipped vessel, which accommodates up to 70 persons and is capable of sailing in a variety of weather conditions. When the skies are clear and the wind is calm, the navigation is extremely relaxing, and you’ll want to head to the top deck for the best views of the mountains and hanging glaciers that surround you. But when the weather conditions are not favorable, the O’Higgins Lake becomes a not-so-gentle giant, with 4 meter waves and wind that can reach 50 knots (92 km/h). That is why it is important to allow a few days in your itinerary for this excursion in case the sailing is delayed by a day or two, waiting for the winds to subside. Glacier O’Higgins forms a frontal wall for another of this area’s giants, the Southern Patagonia Ice Field; third biggest extension of continental ice, after Antarctica and Greenland. 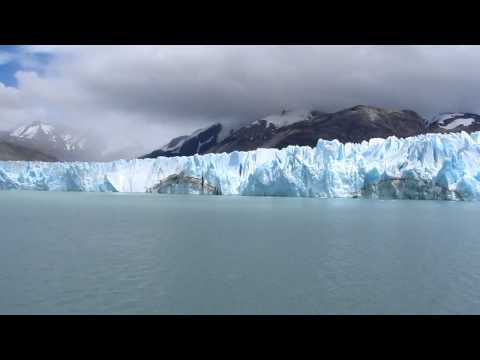 As you navigate the waters toward the frontal wall of the glacier, the icebergs floating quietly in the water begin to become more and more frequent, until eventually the huge mass of ancient ice descending from Southern Patagonia Ice Fields is revealed. The boat will take you within a few meters of the immense wall of the giant O’Higgins Glacier which is 3 km in width and 80 m in height. Here, you’ll have ample time and opportunity to admire the shape of the ice, with its abrupt cuts and angles in some places and soft curves in others. 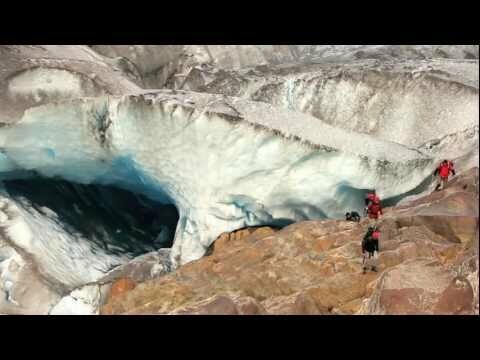 You will probably be treated to the loud sounds and explosions of pure whites, deep blues and pale turquoises produced from the constant calving of this glaciers’ ancient ice. To celebrate your voyage, you’ll be treated to a glass of whiskey, or even better - a Chilean pisco, with ice from the O’Higgins Glacier before beginning the return to Villa O’Higgins. Both on the outbound and the return, you’ll make a brief stop in Candelario Mansilla, to drop off and pick up passengers embarking on the trekking between Chile and El Chaltén, Argentina. Chile's Carretera Austral is an international icon for distance cycling. Biking the entire route takes months of training, precise planning, and expensive gear; however, we've got a plan that allows everyone to sample a bit of the experience. The roads of Patagonia are much more than JUST an ingredient in the adventure!